Credit score. Those two words are enough to make anyone’s eyes glaze over. Who wants to talk about something as boring as a credit score? Well, it may not be the most intriguing topic in the world, but for millions of Americans, it’s relevant and important. First off, don’t fall for the myth that you can’t get your credit report or that it costs money to access your score. That’s all bogus. Past restrictions on credit report access have been done away with and you can now use a number of safe online tools to access and review your score at any time. According to the Consumer Financial Protection Bureau, there are four main ways to access your credit score. 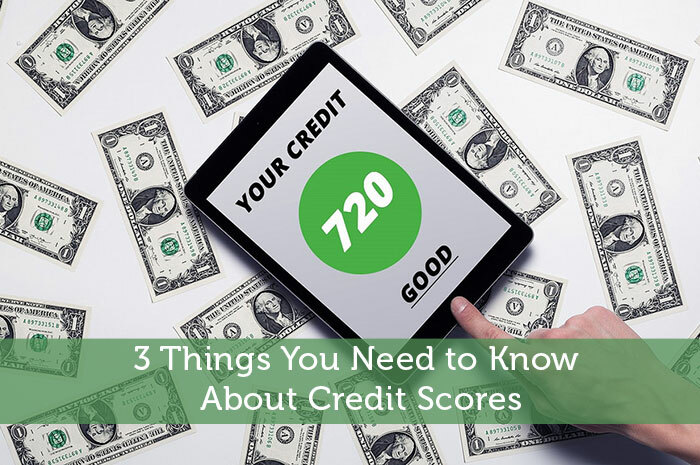 You can (1) Check your credit card or other loan statement, (2) Talk to a non-profit counselor, (3) Use a credit score service, or (4) Buy your score directly from the reporting agencies. When you see your score, don’t just accept it at face value. You should really dig into the details and find out the “why” behind your score. It’s very possible that an error has been made. Payment history. This factor accounts for roughly 35 percent of your score and simply tells agencies how often you pay your bills on time and whether you frequently have late payments, charge-offs, or collections. Amounts currently owed. Approximately 30 percent of your score is based on the amount of debt you currently have to your name. This includes student loans, car loans, home loans, credit card debts, etc. Lower is obviously better. Length of credit history. Your length of credit history determines about 15 percent of your score. If you just opened up a credit card two months ago, your score is going to be lower than if you’ve had credit for two years. Types of credit. Ten percent of your score is determined by looking at diversity. How many different types of credit do you have? Searches for new credit. Finally, 10 percent of your credit score is based on searches for new credit. Every time you apply for credit, an inquiry goes on your record. Having too many inquiries in a short period of time can have a negative impact on your score. When you bring all five of these factors together, you get a nice, neat credit score. The good thing about understanding these factors is that you can identify and fix issues. Where are you lacking? You don’t ever have to look at your credit score if you don’t want to. It’s possible to live life without having a great score. However, it’s not a wise choice to be a passive observer. Your credit score largely determines your financial future and ignoring a low score can lead you down a challenging road that’s filled with potholes. Take action and strengthen your score while it’s still possible.